It's a cartooning fun-fur-all!Draw 48 animal characters in short, simple stepsFour paws-up for Cartoonimals! 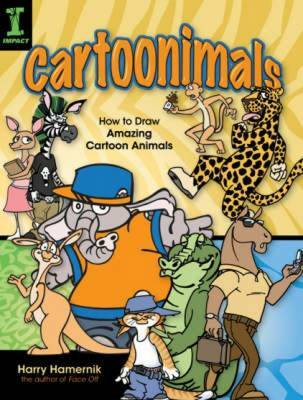 This book makes drawing animal characters super easy and more fun than a barrel of monkeys. It begins with the basics - sketching, drawing facial features, body types, finding the right pose - ultimately, you'll learn how to give your characters the kind of expressions, actions and attitudes that make them much more than lines on a page. Over 45 step-by-step demonstrations help you draw a cool and comical variety of characters, from a guitar-strumming octopus, to a porcupine pirate, to a surfing vulture.Before you know it, you'll be bringing your own original creations to life. With the expert advice in this book, if you can dream it, you can draw it!